As the holiday season rapidly approaches each year, many families get caught off guard with the costs of this time of the year. Whether its unexpected expenses, increase utility costs to keep the house warm, travel, gifts or food, this time of the year is expensive. Low income households can endure unwanted financial stress during this period. There is however, many opportunities available during this period to make Christmas and the holiday season memorable and stress free. In general, non-profits, churches and charities provide a range of services to help low income families or those dealing with financial hardship with gifts, food and in certain cases help paying utility bills. Whilst these organizations do their best to help as many as they can, it’s generally on a first come first serve basis depending on their resource. Because of this, it’s best to get in contact with them as early in the year as possible. If its later in the year (Novemberish) and you are feeling the pinch of the holiday season and have yet reached out or signed up to a free Christmas gift program, there are things you can do. Firstly, you can reach out to some of the local larger programs and see if there is any availability. Even if they say things are tight, they may now what other programs have availability and can point you in the right direction. In addition, you can simply reach out to your local Community Action Agency and they may be able to tell you what programs are available locally – they can also help with financial aid and other assistance programs, such as food or help paying certain bills. Salvation Army – The Salvos are one of the largest and well know charities that provides a range of help including gifts to those in need during the holiday season. Toys for Tots – This is another national program that is run by the United States Marine Corps and local community partnerships. Contact your local group or email them at mtftf@toysfortots.org. Local Retail Stores – Large department stores generally have toy and food drives to help low income families. 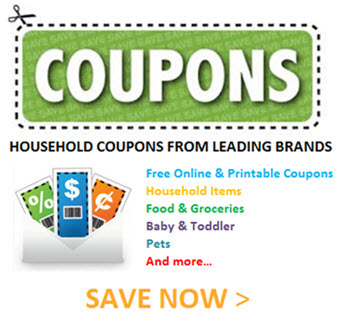 Pop in or call your local Walmart, Target, Toys r Us and others to see what is available. Local Churches – Many religious groups such as catholic charities, partner up with many organizations for toy and food drives. Learn more about how to get help with free toys year round for all kinds of important occasions beyond Christmas. Sometimes extra financial assistance is needed during the Christmas and holiday period. 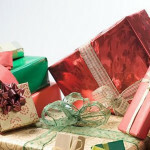 Receiving free gifts can help reduce some of the financial stress of the holidays, but sometimes more is needed. Below are a different options to help with bills in addition to other potential loan options to provide families with extra Christmas cash. Bill Assistance – During the winter period, depending on where you live, you may have high electricity or gas bills. This can be an added expense that doesn’t fit into the family budget. Learn about assistance programs and bill restructuring through negotiation with your provider. Rent Help – There is no doubt that bills seem to pile up towards the end of the year. If you are having difficulties juggling all your bills including rent, there is help available. Low Income Loan Options – Sometimes when you need cash, finding a low rate, low cost loan can be difficult. Review multiple Christmas loan options for the holiday period. Taking on debt isn’t always the best option during the holidays and should be looked at as a last resort. Whilst the Christmas period can be an expensive time of the year, it is also a great time to enjoy the family and reconnect with friends. Gifts and presence don’t always have to be an item from the store and your creativity is really all you need to provide something impactful to another person. Lastly, the holiday season also provides the opportunity to purchase items for CHEAP. There are numerous sales from Black Friday all the way up to Christmas. If you plan your savings right throughout the year, you can take advantage of great deals.